The Composing Room of New was no mere type shop. While no other type business was more aggressively self-promoting, none so determinedly advanced the art and craft of type design or made such a remarkable contribution to design history and practice. What began as a campaign to attract the business of advertising agencies and book and magazine publishers in a competitive market evolved into one of the most ambitious educational programmes the field had ever known, including type clinics, lecture series, single and group exhibitions, catalogues, and one of America’s most influential graphic arts periodicals, PM (Production Manager), later called A-D (Art Director), which was published bi-monthly between 1934 and 1942. The programme, conceived and sustained for almost 40 years by the Composing Room’s co-founder Dr Robert Lincoln Leslie (1885-1986), was rooted in graphic arts traditions yet was motivated by a desire to identify and publicise significant new approaches, even if these rejected tradition. What made the Composing Room so influential, in addition to being a recognised leader in quality hot metal and eventually photo-typesetting, was a commitment to explore, document and promote design approached whatever their style or ideology. Despite his own preference for classical typography, “Doc” Leslie or “Uncle Bob”, as he was affectionately called, gave young designers a platform on which to publicise their experiments. “Leslie and the Composing Room were instrumental in making new or Modern graphic design accessible to business,” states Gene Federico, who as a young man had his work exhibited at the Composing Room. But Leslie did not just have an open mind: he believed that by involving young people in its programmes, the Composing Room would ensure its own future prosperity. “By making our promotional material informative and constructive, we’ve made it educational,” he said. 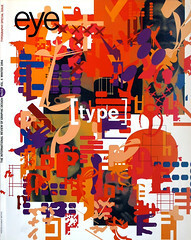 “Identically, it helped to develop a market for good machine typesetting, and it paid off.” Leslie assumed, correctly, that a well-informed and enlightened professional would be a more discerning customer, and so set up a graphic arts salon, regularly frequented by the likes of Ladislav Sutnar, Alvin Lustig and Herbert Bayer, that put his type shop at the centre of what might today be called “design discourse”, but was then practical design talk. The Composing Room’s efforts to elevate graphic arts and typography may have been driven by commercial motivations, but the result was the creation of a solid foundation for the study of American graphic design history. Leslie, who lived to be an active 101 years old, began his career that was to lead to the founding of the Composing Room as an industrial physician at McGraw-Hill publishers, supplementing his income as a proofreader at the Carey Printing Company. His mother was a Jewish immigrant who on the long journey from Vilnius, Lithuania, was helped by and eventually married Louis Leslie, a Scottish seaman who converted to Judaism. Young Bob grew up in poverty on the Lower East Side of New York, but despite financial obstacles he managed to go to college and was awarded a scholarship to Johns Hopkins University Medical School. To earn the money to enable him to take up the out-of-town scholarship, he worked as an apprentice to a Russian typesetter, where he entered a love affair with ho-metal composition. In his 20s he received a typographic union card which he never allowed to expire. Leslie eventually finished his medical studies and became a public health physician, but his love for type was greater than his dedication to medicine. He abandoned doctoring for the typographic profession in 1920 after marrying Dr Sarah Greenberg, one of the few practising female obstetricians of her day. “One doctor in the family was enough,” he joked. The Composing Room was founded in 1927 by Leslie and Sol Cantor, and had been instrumental in applying Linotype composition to high-circulation magazines Vogue, Vanity Fair and House and Garden. Leslie met Cantor at the Carey Printing Company, and around 1920 they became partners in the Enmor Linotype Service, which was sold to American Book-Stratford Press in 1927. Leslie stayed on as a director for four years and became a silent partner in the Composing Room when Cantor opened it that same year. In 1931 he joined Cantor as an active partner and began the promotional programme that was to put the Composing Room on the map. Before in-house photo-composition was economically feasible, type shops were the critical link in every pre-press production chain. At a period when time-consuming hand-setting was considered the best means of producing display type, combining speed with quality was the key to success. Cantor introduced advanced methods that not only accelerated the process but also ensured high quality. The Composing Room was born of “the revolutionary idea that much of the typesetting for fine advertising work could be done by machine, saving considerable time and expense required for the completed hand-setting of even the most routine jobs,” state the introduction to its 25 anniversary exhibition catalogue. Working directly with Linotyope and other manufacturers, Cantor encouraged the design of ligatures to improve bad letter combinations, and new faces were installed as soon as they came out. He insisted on close spacing, a good face for every job (worn type slugs were not allowed), and guaranteed that short-cuts would not be taken. Whether or not the Composing Room invented the role of the type director is uncertain, but Cantor made sure that each job was looked at by an aesthetically attuned eye before it left the shop. The Composing Room was also the first typography house to install the APL (All-Purpose-Linotype) machines; the first to have a range of font sizes from 5 to 144 point on hand at all times; the first to provide a special proofing press for transparencies; and the first to set up an air-conditioned room for its proofreaders. Cantor’s skill as a director was matched by Leslie’s genius as a promoter. He began by staging open houses at which the company’s new machinery and advanced processes were demonstrated, even to its competitors. He established typography and design clinics for production managers, commercial artists and advertising people at which prominent members of the field gave lectures, culminating in a remarkable series called “The Heritage of the Graphic Arts”. In 1934 he founded PM, “An Intimate Journal for Production Managers, Art Directors and their Associates”. First conceived as a house organ, under the co-editorship of Percy Seitlin, a former newspaper man, this small-format (6x8 inch) journal developed into an American Gebrauchsgraphik or Arts et metiers graphiques (the latter published by the Parisian foundry Deberny & Peignot, which like the Composing Room used publications and exhibitions to promote the French graphic arts). PM was dedicated to exploring a variety of print media, as well as providing coverage of industry news, and it developed a strong slant towards Modern typography and design. It was the first trade journal to emphasise the creative and marketing value of the work of the new European immigrants and included illustrated profiles of Herbert Bayer, Will Burtin, Joseph Binder and M. F. Agha, as well as native Moderns Lester Beall, Joseph Sinel, Gustav Jensen and Paul Rand. In 1940 the name PM was sold to Ralph Ingersol, who set up New York’s only ad-free daily newspaper PM, and the magazine changed its name to A-D, coincidentally marking a creative realignment within the profession from production managers to art directors and a gradual shift from craft to art. Each cover featured an original image and a redesigned logo. Edward McKnight Kaugger’s was characteristically cubistic; Paul Rand’s playfully Modern; Lucian Bernhard’s suitably gothic; Matthew Leibowitz’s presciently post-modern. Many of the feature layouts were designed by the subjects themselves. Although the articles were not critical analyses, they were well written and peppered with interesting facts and anecdotes. A news column “Composing Room Notes by R. L L.”, provided an account for the commercial arts from a vendor’s perspective. For 66 issues, Pm and A-D documented a nascent profession, but in April-May 1942 editors Leslie and Seitlin published this note: “A-D is such a small segment of this wartime world that it is almost with embarrassment, and certainly with humility, that we announce the suspension of its publication…for the duration. The reasons are easy to understand: shortage of men and materials, shrinkage of the advertising business whose professional workers A-D has served, and all-out digging in for Victory.” The magazine did not reappear after the war, but that did not diminish Leslie’s efforts to inform and educate, or to promote the Composing Room. Three years after starting up PM, Leslie took over a small room in the Composing Room shop which with the addition of a display case and bright lights was transformed into the PM Gallery, the first exhibition space in New York dedicated to graphic design and related subjects. Writing in the May 1949 AIGA Journal, Seitlin described the opening exhibition: “A young man by the name of Herbert matter had just arrived in this country from Switzerland with a bagful of ski posters and photographs of snow-covered mountains. Also, some camera portraits and varied specimens of his typographic work. We decided to let him hang some of his things on the walls and gave him a party… The result was a crowd of almost bargain-basement dimensions, and thirst too. Everyone was excited by the audacity and skill of Matter’s work.” Seitlin noted that the show helped strengthen the conviction he and Leslie had gained from publishing the magazine, “that there was an enthusiastic audience for a showcase featuring the work of artists-in-industry; and, furthermore, that the audience was larger than we had originally thought it ever could be.” Shows devoted to photographers Samuel Bernard Schaeffer and André Kertész followed. In 1940 the gallery’s name was changed to the A-D Gallery and the premises extended as the range of subjects widened. Exhibitors included German wood engraver Hans Alexander Mueller, a major proponent of the wordless graphic story, as well as German émigrés Herbert Bayer and George Salter. While selecting subjects for the vitality and freshness of their work, Leslie also dedicated himself to helping those fleeing Nazi oppression to become known and to meet the right people. The task of finding new talent rested with the firm’s typographic consultant and promotion director, Hortense Mendel. Originally associated with advertising agencies and art and trade magazines, Mendel, who was employed from 1936 until the early 1950s, was responsible for producing the catalogues, exhibitions and publicity at the PM and A-D Galleries and Gallery 303 (as it was renamed after its move in the early 1950s to 303 Madison Avenue). While Seitlin wrote much of the copy and Leslie ultimately decided who or what would be featured in the gallery, at lectures and luncheons, the stacks of letters to would-be subjects in the Robert L. Leslie archives at the New York Technical College in Brooklyn show that Mendel was responsible for maintaining day-to-day operations. Magazine and gallery enjoyed a symbiotic relationship. Often a feature in one would lead to an exhibition at the other or vice versa. While the majority of subjects were professional designers, Leslie prided himself on giving exposure to untried talent. As an active supporter of New York’s public High School of Industrial Art (later called the High School of Art and Design), he use the gallery’s “Young Talent” show to promote promising students. But his allegiance was not confined to a single institution. In the mid-1930s Abraham Lincoln High School in Brooklyn had the most ambitious graphics programme in the US, chaired by Leon Friend, author of one of the first textbooks, Graphic Design, that used European Modernism as a paradigm for contemporary commercial art. Friend’s top design and illustration students belonged to the school’s elite Art Squad and were responsible for its posters, brochures and announcements. Impressed by their output, Leslie gave them considerable exposure and helped get real work for some of the more outstanding students, including future advertising designers Gene Federico and Bill Taubin and album-jacket pioneer Alex Steinweiss, who published his first work in PM and later curated an Art Squad exhibition at the PM Gallery. After the war Leslie featured Federico in an exhibition called “Four Veterans” and gave Steinweiss a one – man show of record covers with an ambitious catalogue. In 1940 he gave gallery and magazine space to Herbert Bayer’s class in photomontage, arguably the most cutting – edge design programme of its time. Yet though Leslie was interested in the new, he avoided fine arts approaches to commercial art. The avant-garde nature of the Bayer student show was tempered by the work’s practical application to marketable products. In 1948 the A-D Gallery mounted an exhibition and integrated workshop programme entitled “Design in Education”, prepared by the design department of Brooklyn College. This was one of the earliest exhibitions of American experimentation in texture, line, tone, colour and photography. Leslie was the need to expose the student and professional to ideas that, as Mendel wrote, “make for a lively and provocative show and indicate the imagination and ingenuity which affects the students’ later work in the special fields of advertising, architecture, et.” In 1949 the gallery mounted a “Young Designers” show which provided an outlet for students who had now entered the profession and were contributing new approaches. Though Leslie, the Composing Room became a cultural linchpin for those fields it serviced. Since book publishing represented a major clientele, support went to the Book Jacket Designers Guild, a relatively short – lived organisation of about 50 members which attempted to elevate the level of jacket design (and the fees paid to designers). Leslie donated type for the guild’s annual catalogue and the A – D Gallery presented at least four of its exhibitions. Since in the early 1950s the American Institute of Graphic Arts eschewed the book jacket as an unwanted “advertising” appendage, this was the only outlet for this distinctly Modern commercial art. The gallery remained a wellspring of inspiration until the 1960s, by which time the Swiss, Germans and Italians had become the dominant practitioners of the International Style. Though Leslie was no fan of this rationalist approach, he was prepared to promote serious design regardless of his own taste, and Gallery 303 held exhibitions of Anton Stankowski from Stuttfart and “10 Designers from Milan”, among them Studio Boggeri, Erberto, Carboni, Albe Steiner, Max Huber and Bruno Munari. The small catalogues that accompanied these shows were among the earliest monographs of this work to appear in America. While the A-D Gallery celebrated Modern and contemporary practice, “The Heritage of the Graphic Arts” lecture series, which began in 1955, was the Composing Room’s monument to tradition. Leslie invited leading typographic and print historians to speak about the legacy of printed communication, including such topics as punch cutting, Gutenberg, Alphabetic Calligraphistics, Officina Bodoni, and legibility and impact. In a series of informal evenings “for recollections and reminiscences by former students, colleagues and associated of the masters of graphic arts”, the lives and works of grand men and dames were discussed, if not critically analysed, including John Dreyfus on Giovanni Mardersteig, Karl Bernhard on Lucian Bernhard, Paul Standard on Jan Tschichold and E. Willis Jones on William Morris. Among the more provocative presentations were Beatrice Warde’s on “Typography – Art or Exercise?” and a rather enigmatically titled talk by an unknown historian, Father Catich, on the subject of “Typographic Brainwashing”. In the 1960s and 1970s Leslie was the president of Typophiles, an organisation of typographers and aficionados with a long conservative tradition. As such, he had to balance the passions of two opposed groups: the traditionalists, who were concerned with printing history, calligraphy and classical typography, and the Moderns, whose aim was to push traditions outwards. But as a business, the Composing Room had to focus on the here and now, and while its remit was quality whatever the style, the market demanded that it keep ahead. Aaron Burns (1922 – 91) became type director of the Composing Room in 1955. He was responsible for facilitating the difficult settings required by agency art directors, scrutinising all proofs before they left the shop and offering composition alternatives. Burns, who later went on to co – found the International Typeface Company, was according to designer Ivan Chermayeff, “always a seeker – outer of people who were cutting edge”. Indeed, under Burns’ direction, the term cutting g– edge had at times a very literal meaning. This was the period when the constraints of hot-metal composition made it difficult to achieve certain effects, such as tight spacing or touching, without razor –blading and repositioning the proofs and then having an engraving made of the new “art”. Burns sought any reasonable means to push the limits of typography, and one of his most significant experiments was a series of four booklets produced C. 1960, About U.S., which allowed four designers to wed type and image with the minimum strictures. Conceived by Burns and written by Seitlin, these booklets were an important link between the end of hot metal and the initiation of photo – composition, and bear witness to an early stage of conceptual and expressionistic typeplay that would alter advertising and editorial practice for a generation. The series comprise Lester Beall’s typographic interpretation of a ride in an automobile, Herb Lubalin’s creation of a typographic jazz environment, Gene Federico’s discourse on the “Love of Apples”, which he describes as “an exercise to see how close I could touch slugs of type without using a razor blade”, and Brownjohn, Chermayeff & Geismar’s flirtation with typographic abstraction against a New York cityscape in “That New York”. “Ours was impossible typesetting and useless prose,” admits Chermayeff, “but it was also an early attempt to use typography as paint, and to explore relationships that were based on texture not language. We were doing no less than what David Carson is doing today. However, to be completely irresponsible required a sympathy with language.” In addition to demonstrating overlapping and layering by means of complex film juxtapositions, this booklet was also a verbal/visual experiment in the mixing languages by combining numbers with letterforms to make words (see also Eye no. 4 vol. I). As Leslie returned to the heritage of typography, Burns undertook practical experiments in an effort to expand the range of typographic communication. He conceived and designed specimen books that were clean and rational, but encouraged radical – in that it was difficult to set – typographic design. He also began to introduce photo-composition, which was difficult not only because of bugs in the new equipment, but because art directors were happy with the old methods. When Burns left the Composing Room to being his own business, he incurred Leslie’s wrath for having “abandoned” him. In 1976 the Composing Room merge with Royal Typographers to become the Royal/Composing Room, which in 1922 became PDR Royal. After Leslie retired in 1970 to devote himself to the Typophiles and other activities, the Composing Room continued to do occasional promotional pieces, but without his missionary zeal. Other organisations, institutions and schools picked up the torch. But for three decades the programmes developed by Leslie and his associates introduced Modernism, celebrate classicism and influenced contemporary practice. The Composing Room defined a significant segment of American graphic design history and left an enduring legacy.